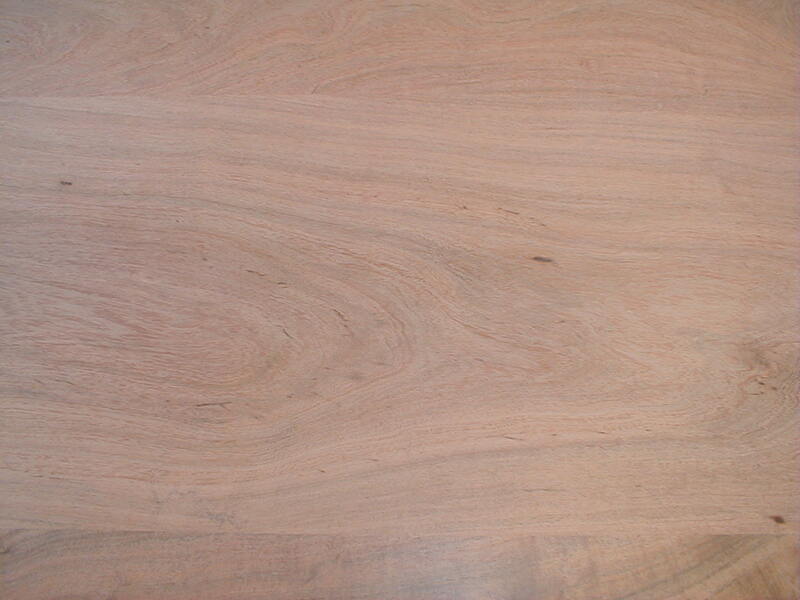 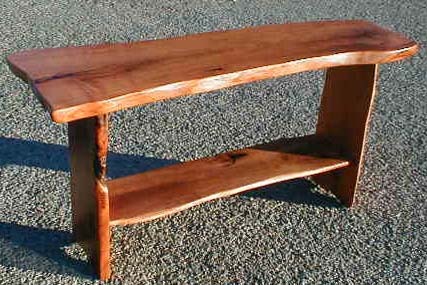 Nothing shows quality and uniqueness like owning a mesquite dining table. 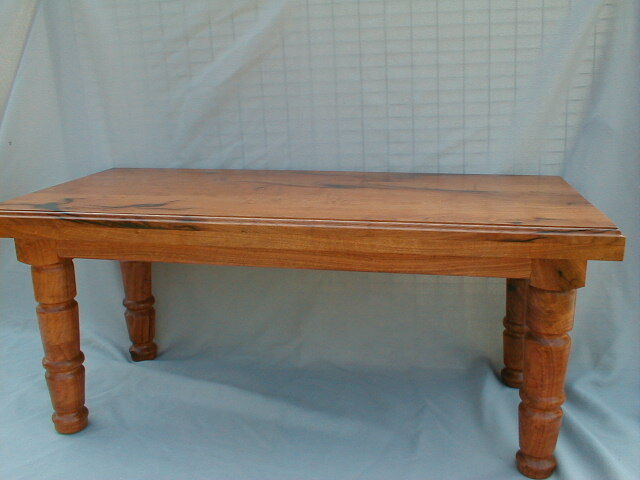 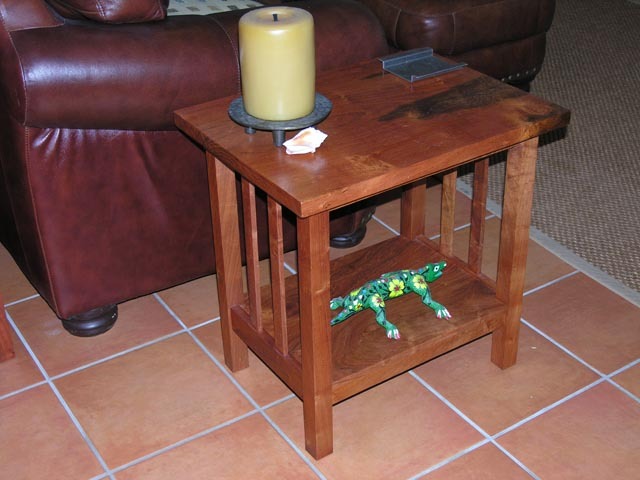 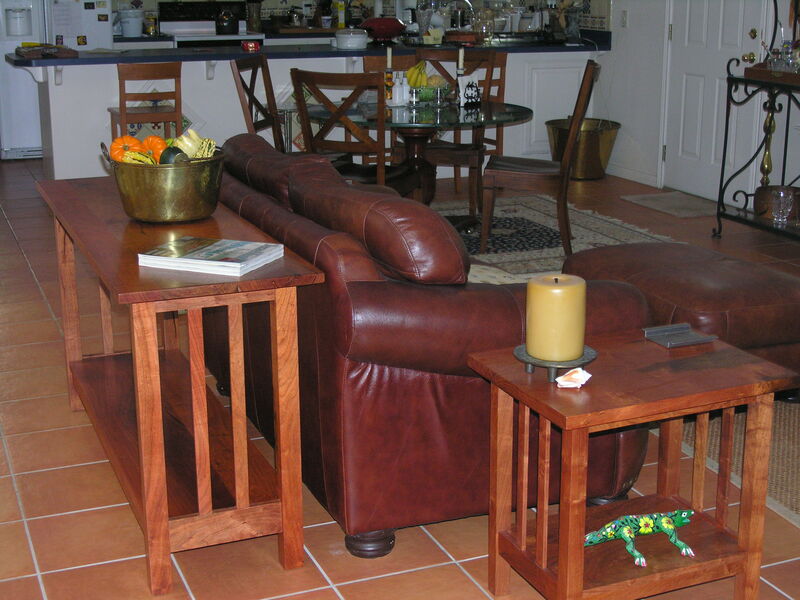 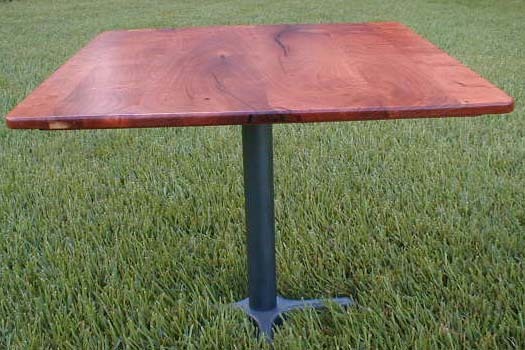 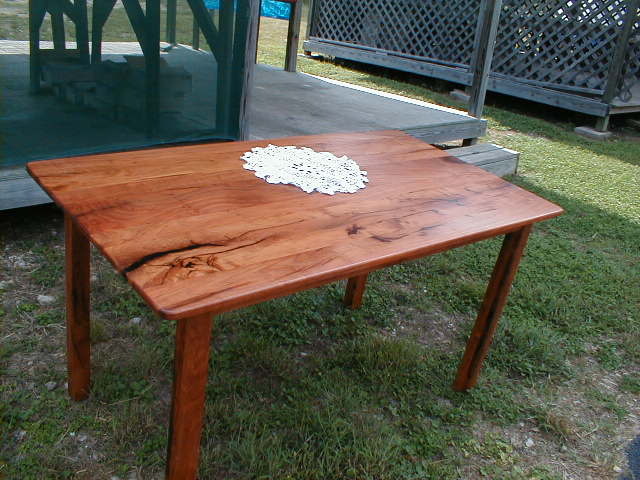 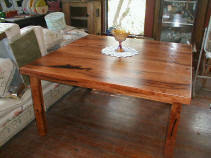 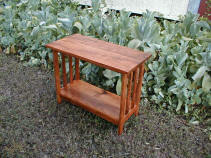 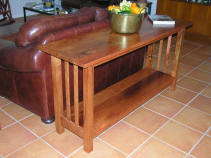 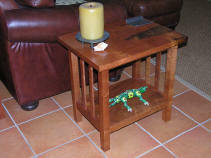 We can make yours to your specifications, whether for a breakfast nook or a full size harvest style table. 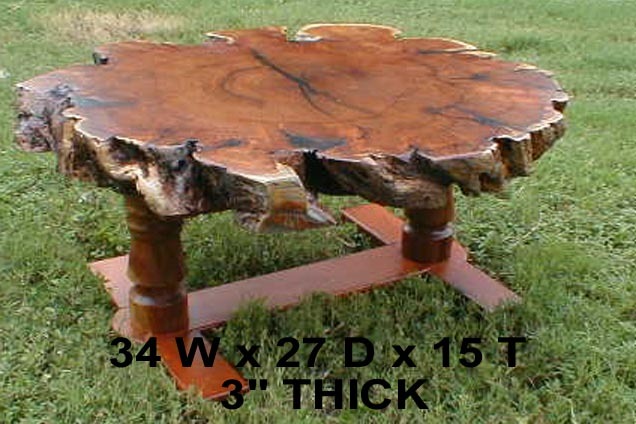 It will be made of south Texas mesquite and finished with hand rubbed moisture resistant lacquer. 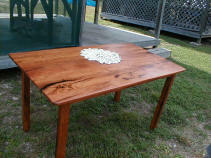 E-mail for particulars and prices of your very own table. 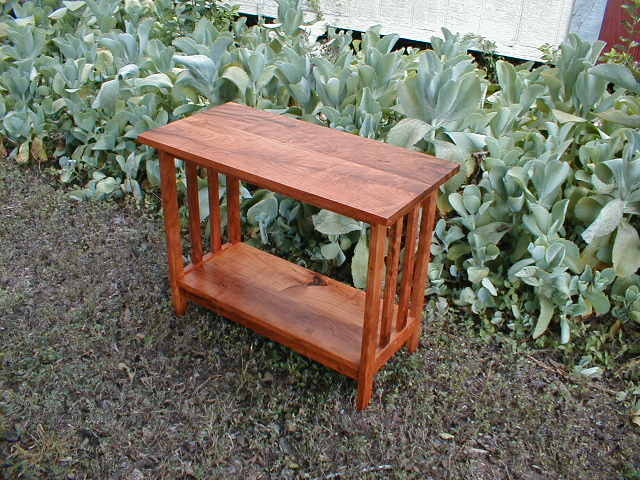 5 ft sofa table 30 in. 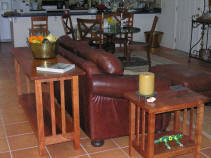 high End tables to match Close up.